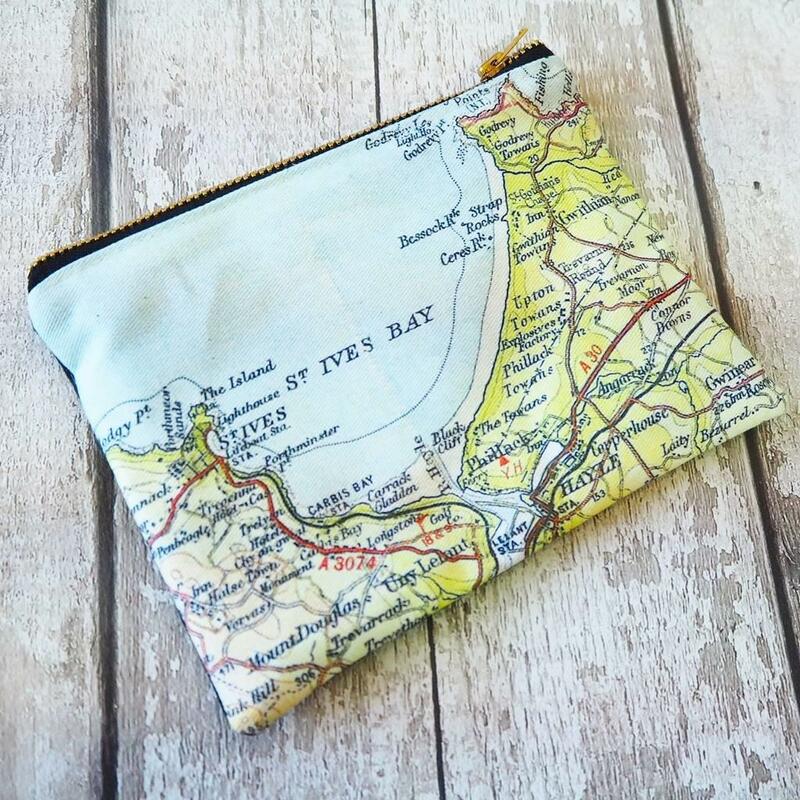 Carry your favourite place with you wherever you go with this vintage map printed make up bag. 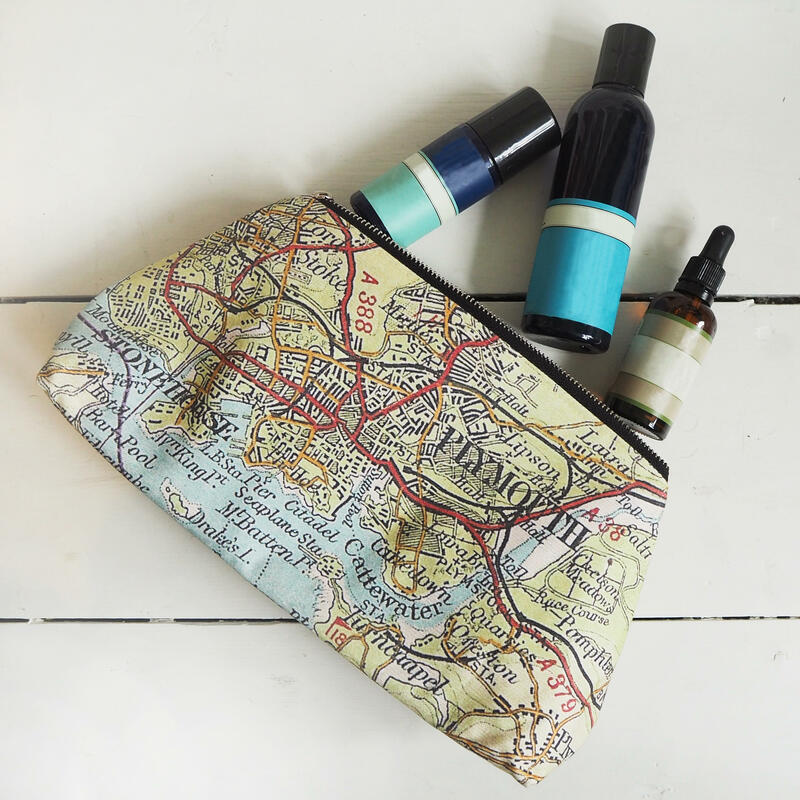 This make up bag is perfectly sized to take away on holiday or organise your dressing table. 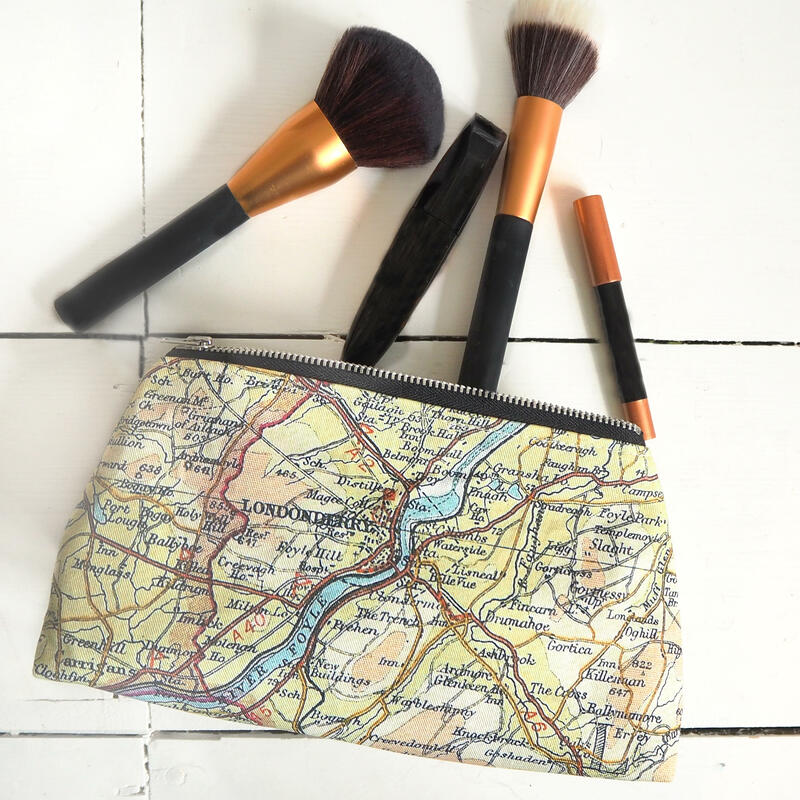 Will fit brushes, foundation, mascara and eyeliner and more comfortably - but we also have a larger size if you're carrying your whole kit! 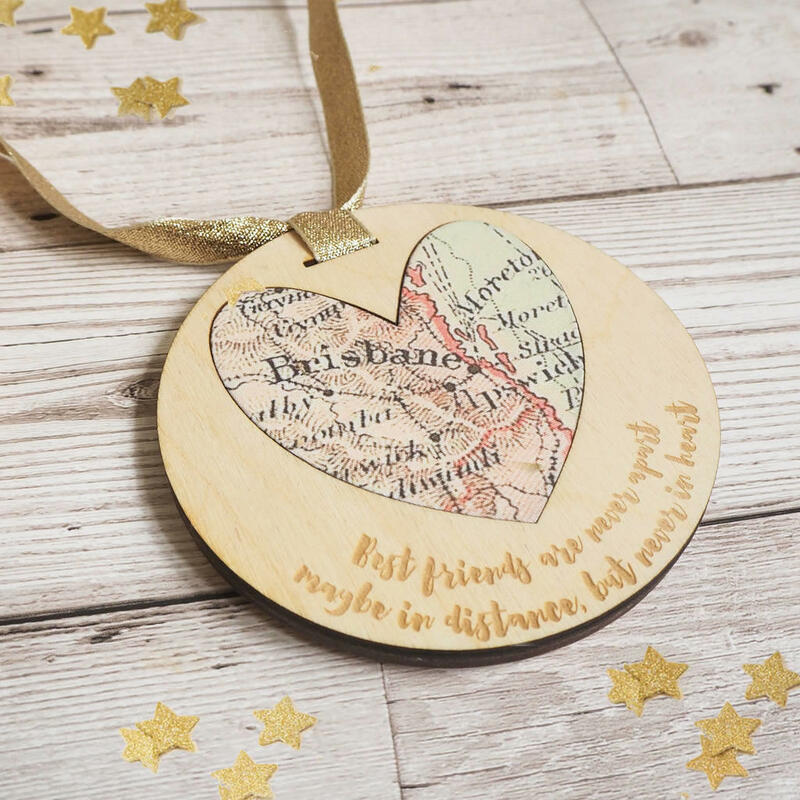 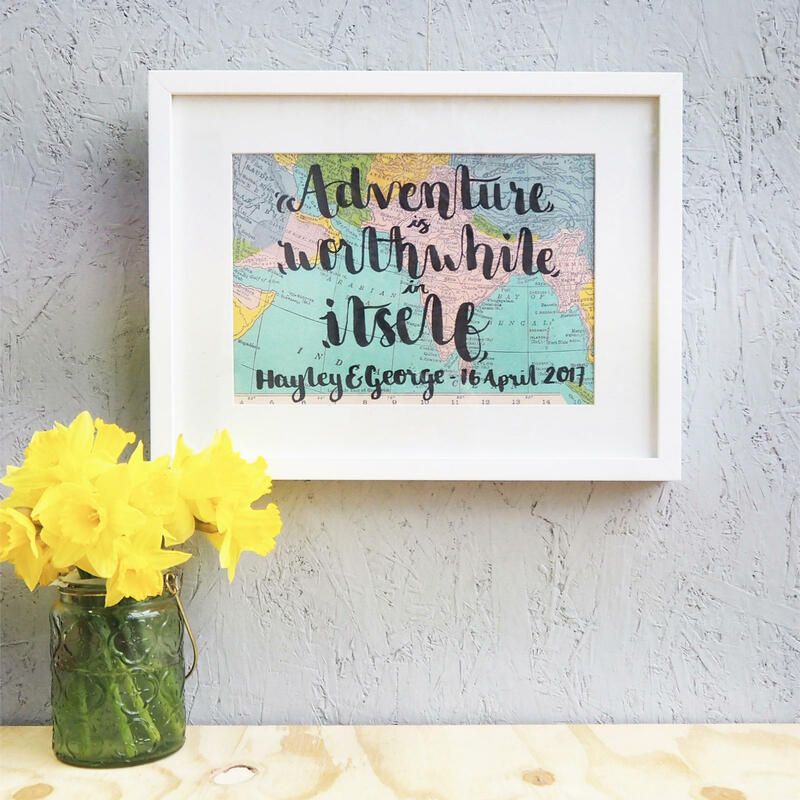 This makes the perfect gift for mum or grandma, or for your best friend who's moved away. 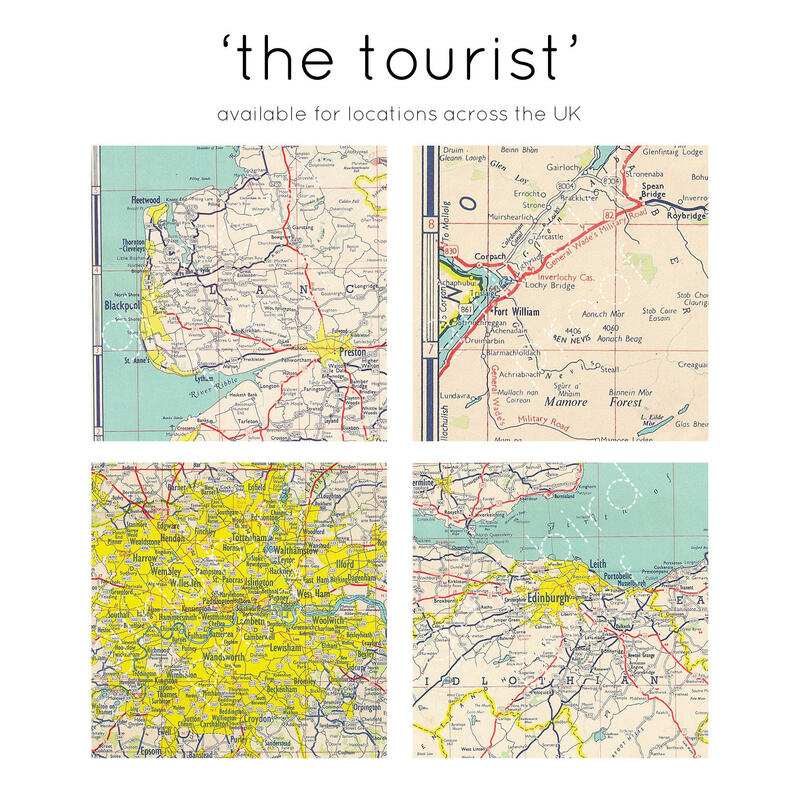 Alternatively, remember your favourite holiday or special location. 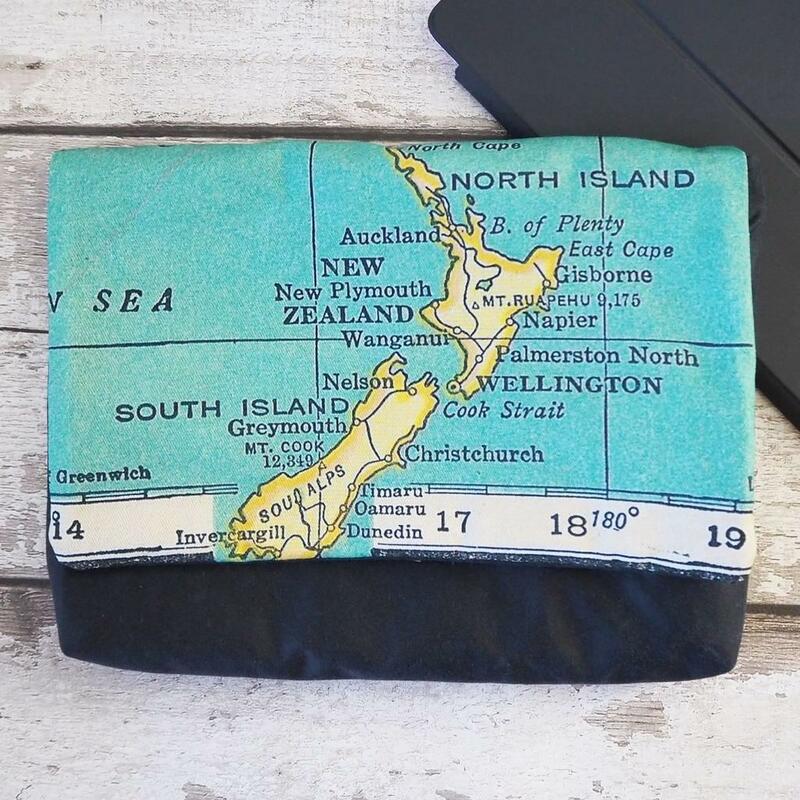 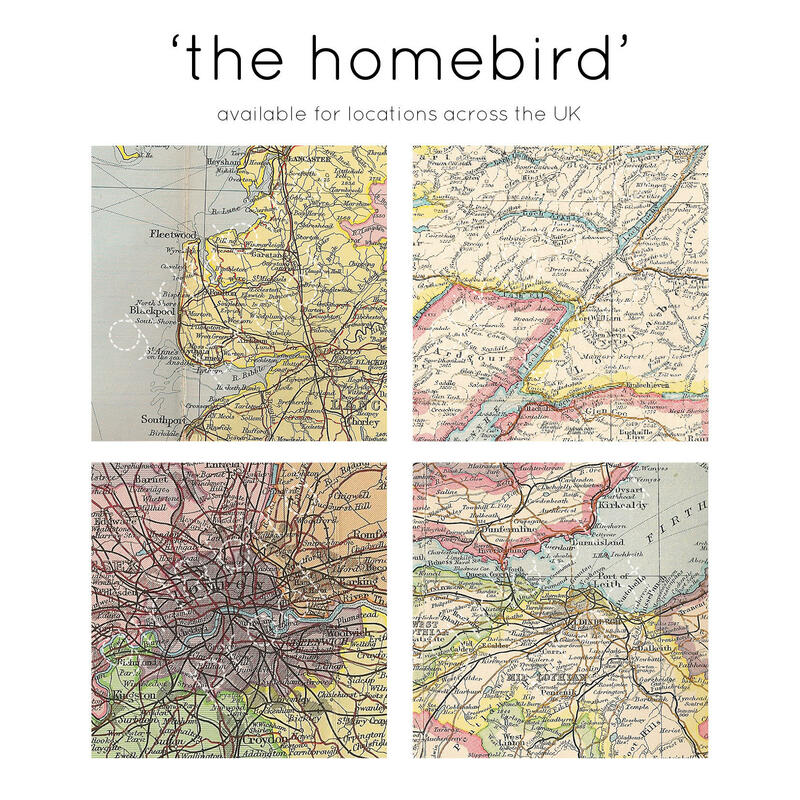 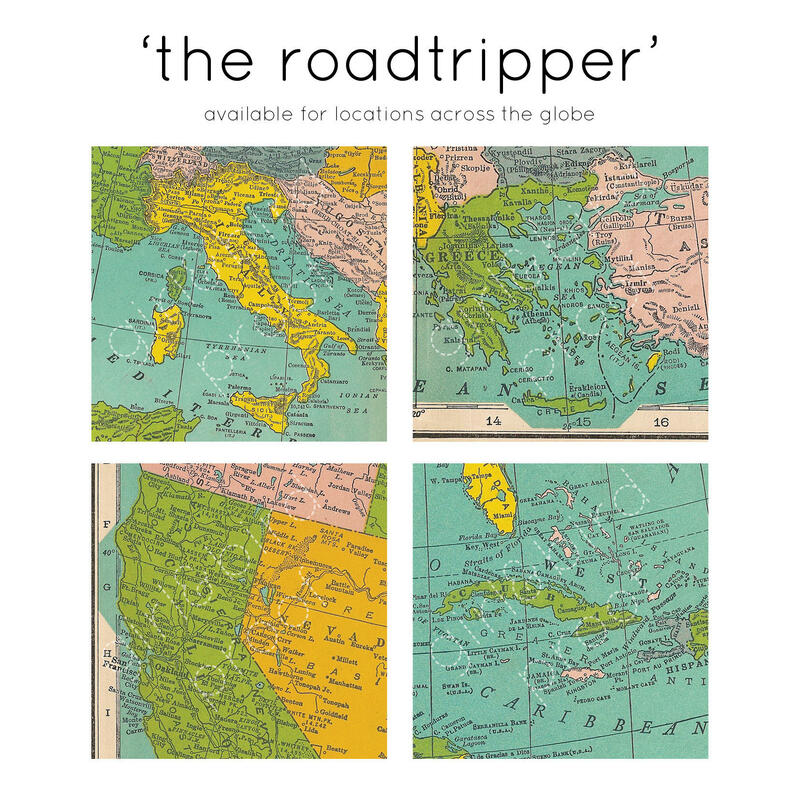 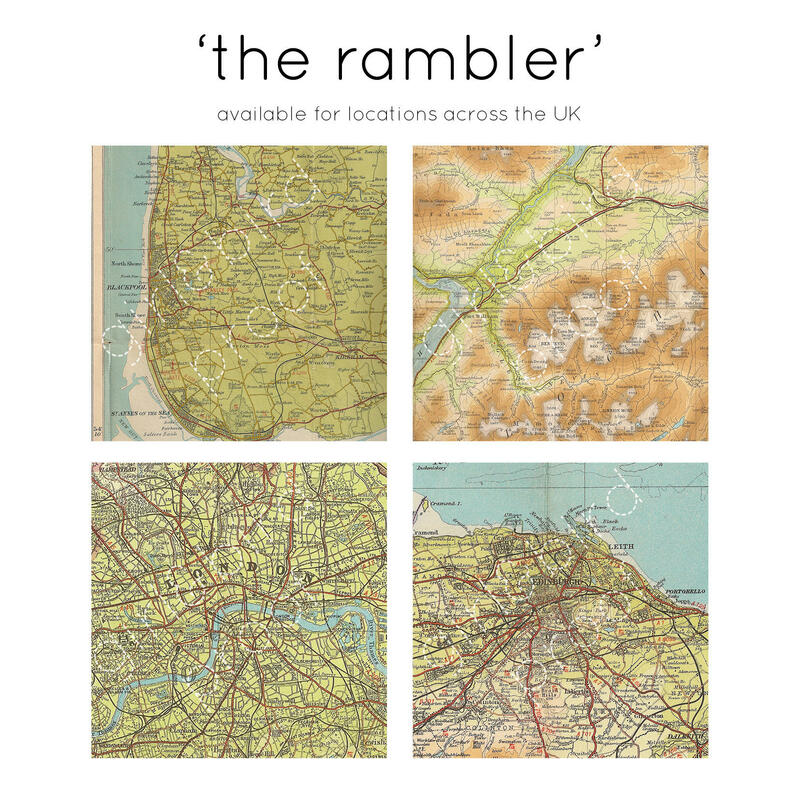 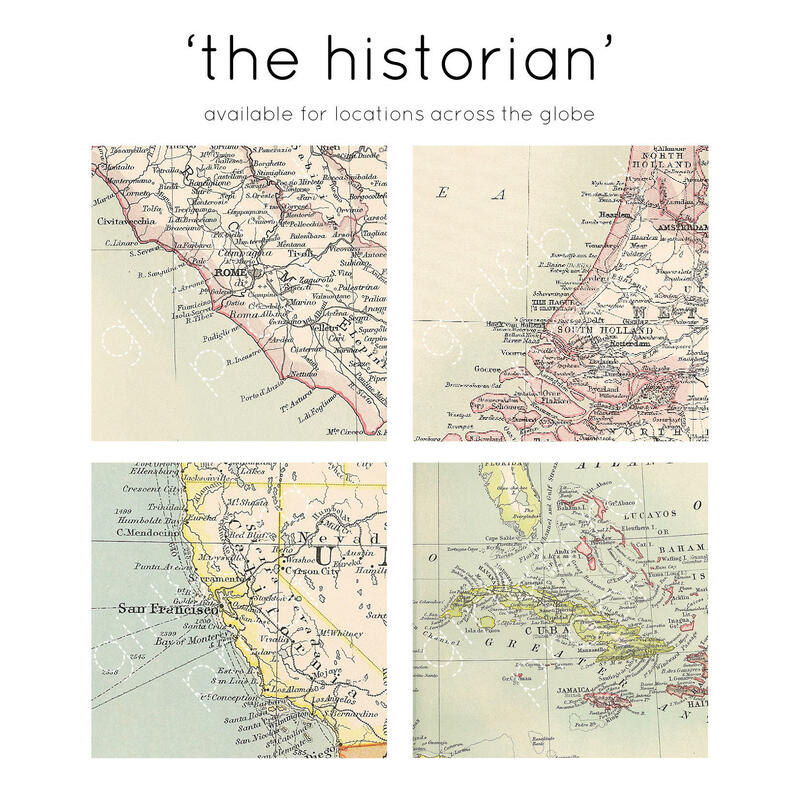 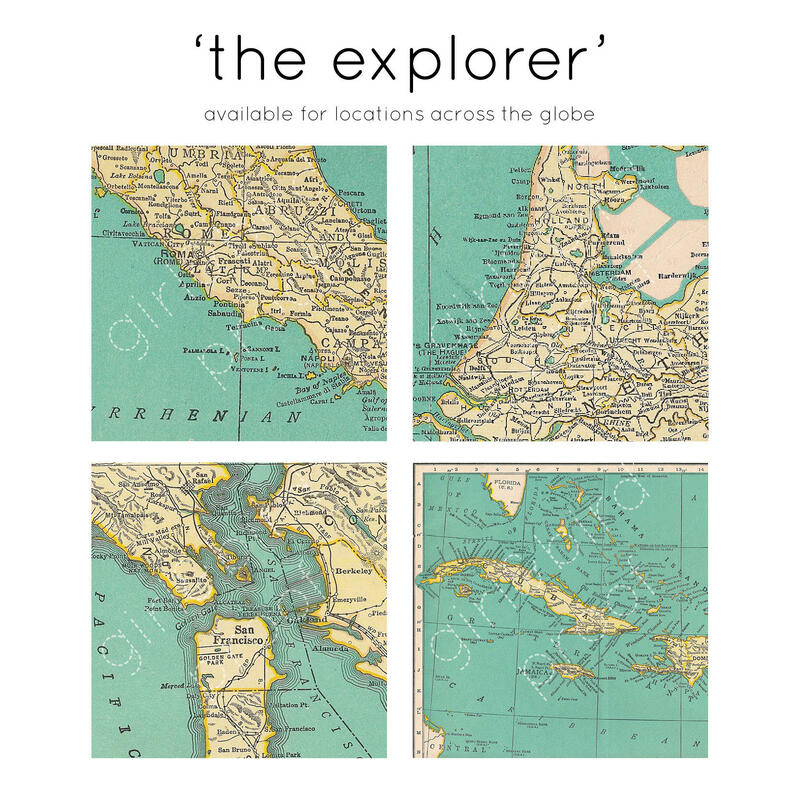 The front features your favourite place, UK or abroad, and it is backed with a waxed cotton fabric. 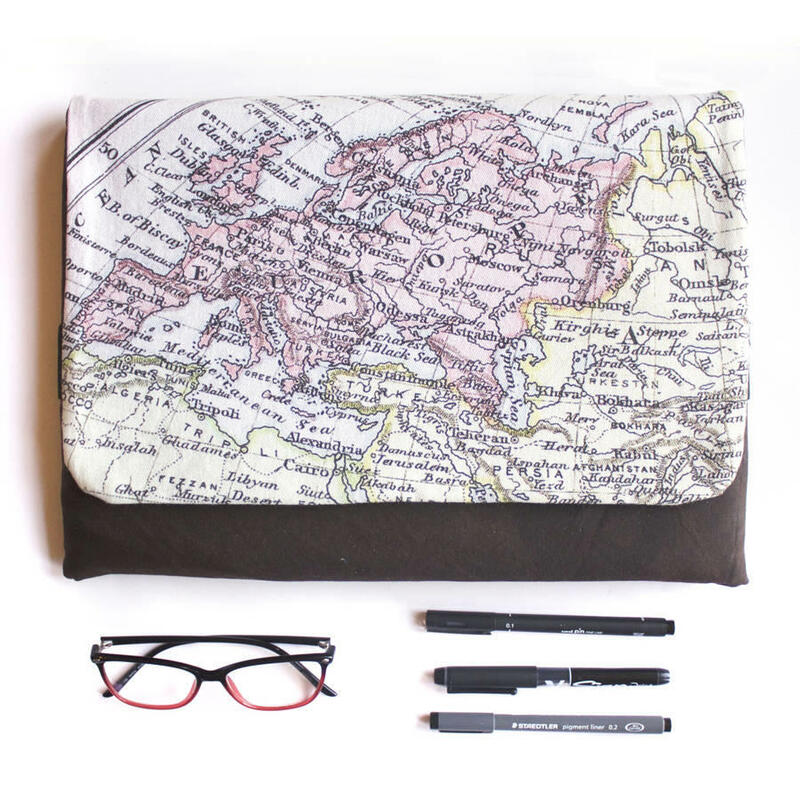 It is lined with a splashproof nylon to catch any drips, and topped with a zip.